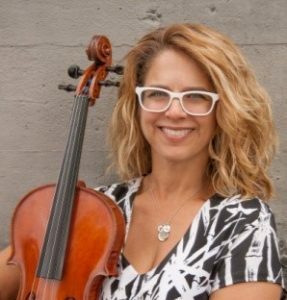 In addition to Composition, Arranging music, and Videography projects, Arts Connections Workshop will have Violist-Violinist and Conductor, Daryl Silberman, lead an Electric Instruments Project. Ms. Silberman and Danny Seidenberg together have created a unique chamber-jazz-pop ensemble consisting of 2 violas, a cello and a guitar called ‘UnBande’. Campers will learn to create music using electric instruments.